The orchestra was founded in 2006 in Cologne and draws from over 60 of the most talented young musicians from 18 European nations. Its outstanding high artistic level has been confirmed by their many concerts and festivals throughout the continent, and by press and critics alike. 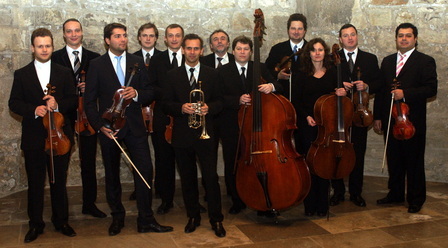 In the 2011/12 season, Chamber Philharmonic Europe performed over 70 concerts in leading concert halls in Paris, Amsterdam, Berlin, Luxemburg, Versailles, Edinburgh and Malmö. The orchestra aims also to provide promising artistes the opportunity for further development in its various sections.